No matter whatever clinical department you are in, you will pay attention to the surgical infection rate. Clinical researches found that lots of infections are tightly related to staphylococcus aureus and E.coli. The probability of surgical infections induced by staphylococcus superficial might be much higher than we considered before. Staphylococcus superficial is the maximum bacteria on the surface of human skin, and it is the first main morbific microbe in bone operation, heart valves replacement, vein remaining needle, peritoneum catheterization therapy and bypass operation of cerebrospinal fluid. The Top-medical AOKI surgical incision drape can alleviate postoperative pain and make you feel confident to the surgery. 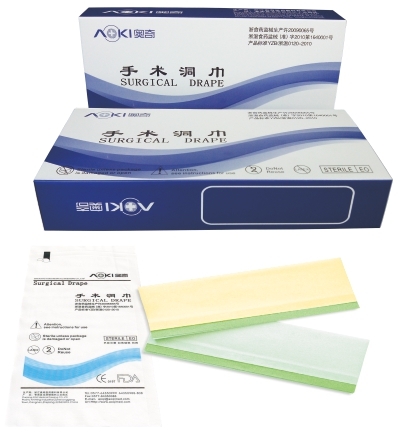 The AOKI surgical incision drape is extra-thin, breathable, transparent and suitable, it creats a good sterile environment at the surgical part. 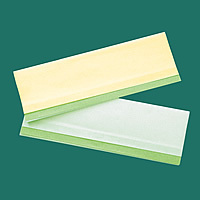 We also append dirt drainage bag or waterproof non-woven film on it to fit clinic demands. We have two kinds of materials for the different clinic demands, one is the PU film, and the other is PE film.